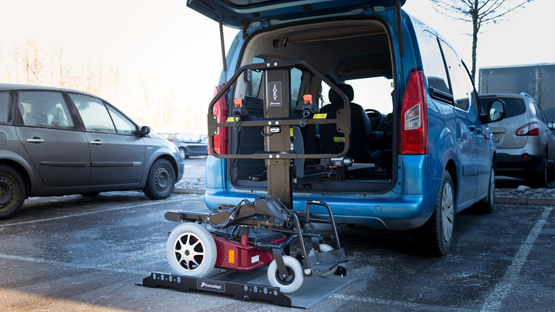 A small platform for lifting and stowing your mobility product in your vehicle. It’s as easy as just driving or pushing your chair or scooter onto the platform. The built in wheel chocks will provide stability while you disembark. The Joey lift will then take your unoccupied scooter or wheelchair into your vehicle with a touch of a button. Tie downs can be used if required and for ease of use the platform can be lifted to a comfortable height whilst securing these. 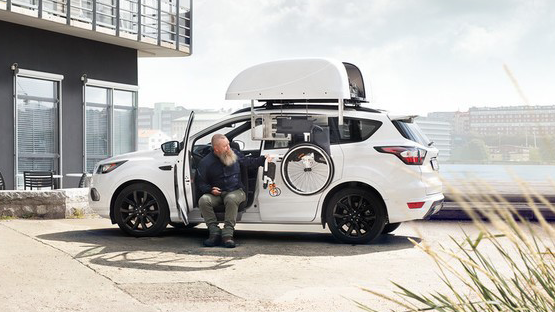 It will safely lift mobility devices weighing up to 159kg into your vehicle and the safety barrier will prevent your scooter or wheelchair coming further into the vehicle in event of an accident. The Chair Topper is suitable for use with most car models and makes. 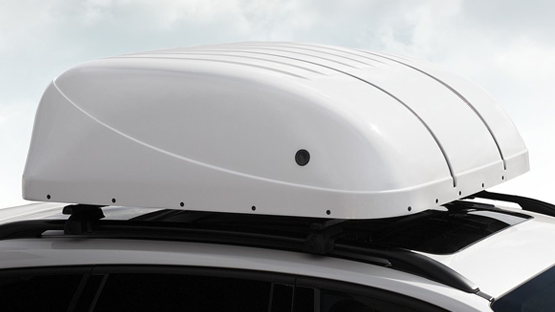 The most important being that the car can be fitted with a roof rack. As for wheelchairs, the Chair Topper can take most folding frame models weighing up to 20 kg. It only takes 30 seconds to load or retrieve your wheelchair. Getting your wheelchair in or out is super easy, just push the corresponding button on the remote. 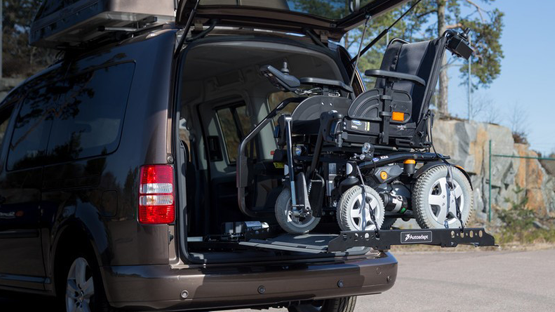 Since your wheelchair never touches the interior of your car you don’t have to worry about dirt and mud on your wheels. Inside the Chair Topper’s weatherproof compartment your wheelchair is protected from the elements. Available in driver and passenger side options. ACS Mobility Ltd is the perfect place for your joey lifts and roof top box.